2015 Building a Better Central Oregon: Two Ascent Architecture Projects Recognized! 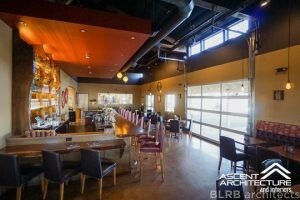 The Central Oregon Association of Realtors (COAR) has recognized two Ascent Architecture & Interiors’ projects in its annual Building a Better Central Oregon awards event, which took place October 22, 2015, at the Riverhouse. 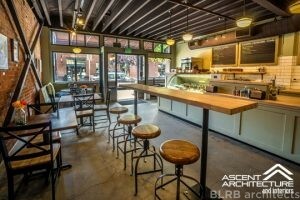 The two Ascent-designed projects included Bonta Nautral Artisan Gelato and Oregon Spirit Distillers. After four years of operating a small gelato kitchen out of their garage, Juli and Jeff Labhart secured an industrial space on southeast Bend to build their new 2,700-square-foot creamery. They worked with Ascent Architecture & Interiors and Scott Young Construction to complete the project. The new facility provides the space for a large walk-in freezer, cooler, pasteurizing vat, and multiple batch freezers. The new facility has more than tripled Bonta’s gelato production up to approximately 700 gallons a week. Shortly after signing the lease for the new creamery, their dream location for a scoop shop came available in downtown Bend on Minnesota Avenue. 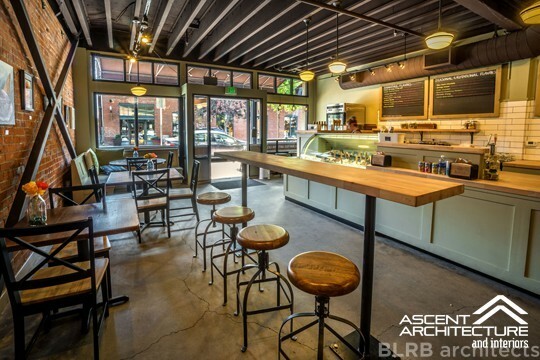 The Labharts again worked with Ascent Architecture, which offered interior design and architectural services, and Scott Young Construction to create a comfortable space that represents their hand-crafted, all natural product. The shop opened in April and has been and amazing success. Customers love the feel and look of the shop and it provides a fun place for families, local and tourists alike to enjoy a local, handcrafted product. Oregon Spirit Distillers has converted the former ReStore retail and storage buildings into a working distillery, cocktail lounge, and tasting room. Ascent served as the project’s architectural team. 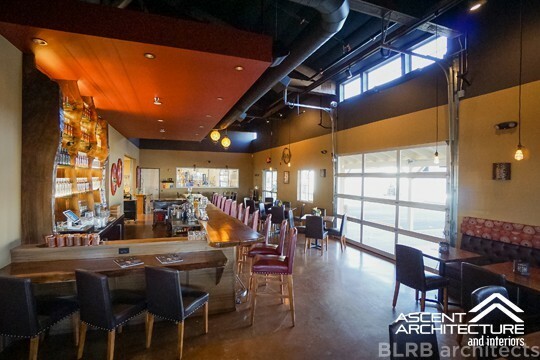 The project made use of an underutilized property in Bend’s rapidly developing “Maker’s District,” and the cocktail lounge brings new activity to this part of the city. According to COAR, this is a prime example of the kind of project that can help transform a former industrial area into the mixed-employment model the city has designated for the area. COAR is a real estate trade association serving the professional needs of its 1,650 members. In addition, COAR is dedicated to enhancing and protecting the real estate industry. For help growing your business, contact our architecture and interior design team at Ascent!